The following are extracts from a speech given by the revisionist historian Olivier Mathieu on 26 October 1990 in Brussels to the Circle of Revisionist Students. 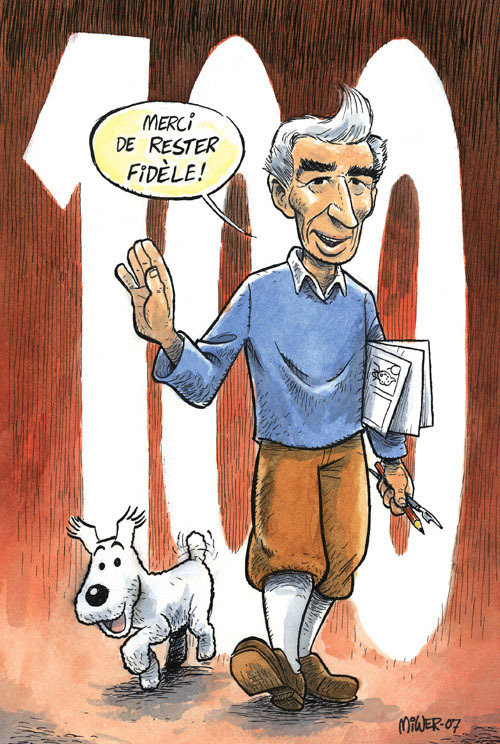 Mathieu faced considerable professional and legal persecution for explicating Hergé’s Right-wing roots in an unapologetic fashion. After the Second World War, Hergé was forced to bowdlerize much of his work – stereotypical blacks, greedy hook-nosed Jews, and references to real-life politics disappearing – to keep up with the march of political correctness. The subtitle is editorial. 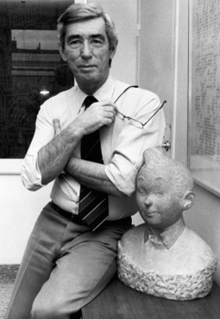 Georges Rémi – whose initials, backward, R. G., create “Hergé,” was born in 1907. He died on March 3, 1983. And Tintin was a victim on that occasion, as throughout his career, of innumerable attempts of misrepresentation. For example, in the Brussels daily Le Soir of March 5–6, 1983, Mister Jean Gol, as the good liberal obsessed by mercantile ideologies that he is, found nothing better to praise in Tintin’s recently-deceased father, than to declare that “Hergé’s work was an export product.” [. . .] Mister Gol dared to add: “He has given foreigners an entrepreneurial image of the Belgian,” before admitting his desire to resemble the famously coiffed hero. Let me say that Mister Gol is perhaps not the best placed to speak about Belgians and Tintin: There is in Land of Black Gold another character who resembles Tintin, but who is not Tintin, and who perhaps better corresponds to Mister Gol, as much by his patronym as by his physique: a certain Salomon Goldstein. How can one not be struck by the awkwardness of the “authorized” interpreters of Hergé on his first three [most politically incorrect] comic books? [. . .] The masters of today’s society go so far as to use a vocabulary completely contrary to reality. They would like to make of Hergé but an author of little universalizing stories, as Mr. Gol does. And the Hergé who bothers them, they ignore him or they accuse him of “caricaturing” [. . .]. This evening, we will look at the truth. What did Tintin in the Land of the Soviets tell, other than the misery of the peoples of the Soviet Union and the bankruptcy of communism? Today, in 1990, Moscow does not have bread! And communism has more or less disappeared, under the pressure of the European peoples who have everywhere toppled the statues of the Jew Marx! So I, Olivier Mathieu, who does not earn millions of francs on Hergé’s back as does the Casterman [publishing] empire, I demand the write to ask: Where is and where was the supposed caricature in Tintin in the Land of the Soviets? In Tintin in the Congo was presented the superstition of those we still dared to call by the name “Negroes,” the tribal struggles, and the harmful influence of American imperialism. “Will the Congo become a colony of Chicago?,” asked Hergé. Today, in 1990, the Zulus and the members of the ANC of the terrorist Mandela are killing each other; we have been pestered enough about the “witch doctors” of the Cameroonian national football team; and we can ask whether Iraq will become, like Saudi Arabia, a colony of the United States. So I ask: Where is the caricature in Tintin in the Congo? [In] Tintin in the Land of the Soviets, where Tintin [. . .] saves for example a Soviet child to whom bread is being refused, [and] witnesses fraudulent “elections” to which the people of Moscow submit [. . .]. Hergé had just started out in the supplement of this newspaper, entitled Le Petit Vingtième [. . .]. 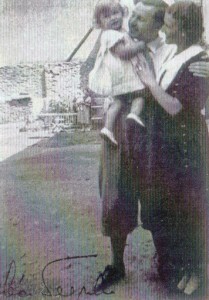 [A]bbé Norbert Wallez [an ultraconservative priest, disciple of Charles Maurras, and editor of Le Vingtième Siècle] was one of the maîtres à penser of the young Hergé. He was [. . .] an agitating monk who expressed in his articles a right-wing leftism in the style of [Édouard] Drumont (the author of La France juive). Hergé owed everything to this man of vehemence and accusation who gave him a chance in the newspaper he led. [. . .] You will have guessed that Abbé Wallez was neither a philo-Semite, nor a liberal, nor a Marxist, nor a friend of Freemasons. And it was him who gave Hergé the idea, in 1934, of gathering Tintin in comic books. 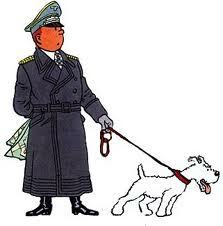 The links between Hergé and Degrelle, the “connections,” the common friends of the two men, are then numerous. Why should it be surprising for there to be a community of spirit between Hergé (whose scouting was the great adventure of his youth [. 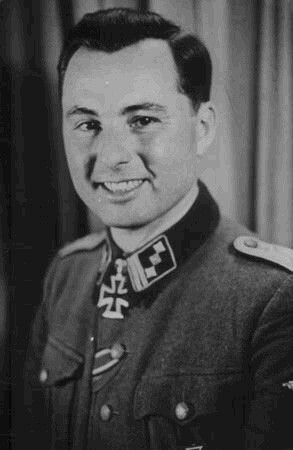 . .]) and Léon Degrelle, who was the only one in his country and his time to inspire the masses of the people? Whomever explores the graphics and the content of the Tintin stories finds a fairly commonplace Hergé. He is anti-Bolshevik, racist, politically sensitive or insensitive depending on the day’s mood. The greater part of his work concurs with a right-wing atmosphere, at a time in Belgium when this was respectable. [. . .] Hergé’s moral foundation and personal morality easily join up with Léon Degrelle’s philosophy. Both come from the same milieu: scouting, the Catholic church, the right. Their morality is that of the friendship one finds among the former officers of Indochina or Algeria. At the beginning of the 1930s, Hergé illustrated L’Histoire de la Guerre scolaire [an account of attempts to de-Christianize Belgian education in the late nineteenth century] by Léon Degrelle, released by the Éditions Rex (which sold 600,000 copies in 1931) and whose slogan was “The books of the Éditions Rex are written by Belgians, printed by Belgians, must be read by Belgians” [. . .]. [A] Dutch academic, analyzing 2000 of Hergé’s drawings, has shown that with Tintin, the danger almost always comes from the left. 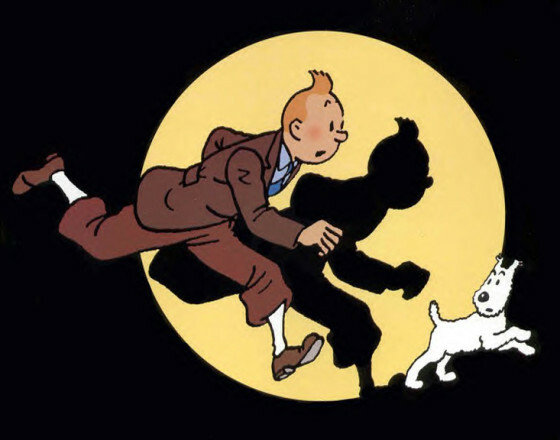 On Thursday 17 of October 1940, Le Soir’s supplement, “Le Soir Jeunesse,” carried the headline: “Tintin and Snowy are back!” A milestone indicated that they were coming back from Toulouse and were going, in a martial step, towards Brussels. 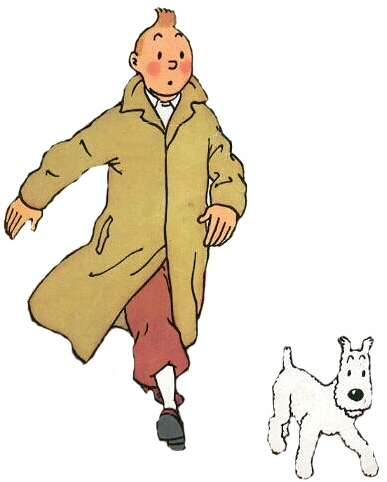 Tintin wore a shirt with rolled-up sleeves and a tie, and the fact of wearing this kind of uniform did not prevent him in the slightest from bearing a radiant smile. One cannot help remembering [. . .] that Rex’s leader, from May 10 to July 29, 1940, was dragged through 19 prisons along 2,600 kilometers of martyrdom, and this painful adventure brought him notably to Toulouse. 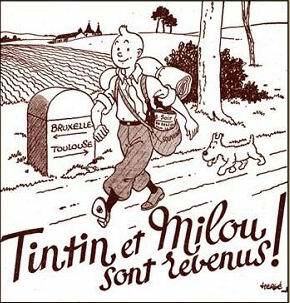 Yes, Tintin was returning to Brussels, and Tintin was Léon Degrelle. There is more. We know that, with Hergé, nothing is ever gratuitous. Often, Hergé portrayed himself or drew his friends and colleagues in his comics. I thus assert that, in a sequence of Quick & Flupke published in Le Petit Vingtième number 20, in 1933, we recognize not only Hergé and his first wife, but also Alidor [a cartoonist colleague] and Léon Degrelle. 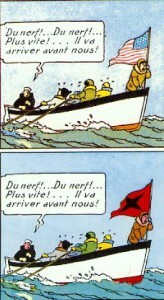 The German presence in Belgium was by no means a marginal time in Hergé’s work. One can see during this period, on the contrary, the zenith of his production. Hergé, indeed, wrote four and a half titles in less than four years: The Crab with the Golden Claws, The Shooting Star, The Secret of the Unicorn, Red Rackham’s Treasure, and The Seven Crystal Balls. The Shooting Star is, in my opinion, Hergé’s greatest comic book. Published in 1942, there is an atmosphere of imminent apocalypse, showcasing research into a new explosive matter, inspired by the studies using atomic fission, foreshadowing the Americans’ criminal discovery of the atomic bomb. The real Shooting Star is that [published] in Le Soir newspaper. Between 1942 and 1990, significant modifications were made. Here are three examples among many others. First example: Blumenstein becomes Bohlwinkel. The “bad guy,” today called “Mister Bohlwinkel, a great Sao Rico banker,” was called 48 years ago “Mister Blumenstein, of the Blumenstein bank in New York.” He has kept from his first identity the Semitic type commonly used at the time by the cartoonists of the “Collaboration,” but not his name. Nonetheless, The Shooting Star remains an acerbic critique of a plutocratic Anglo-Saxon universe eaten away by Jewish high finance. Second example: The enemy is America. The enemy flag brandished several times by the enemy boat, which is today an imaginary banner, was in 1942 the American flag. The expedition of Tintin’s adversaries incidentally enjoy the patronage of the American explorer Peary, whereas Tintin’s ship is called Aurora, a solar and diurnal symbol (has it been noticed that the two defeated powers of the Second World War, Germany and Japan, had solar symbols, but that the victors displayed for their part star-spangled banners, symbols of night over the world?) . 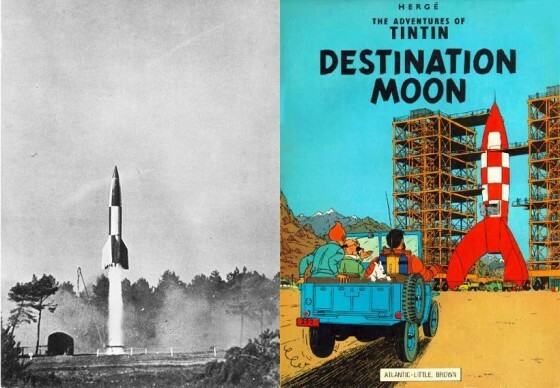 . .
V-2 rocket and the 1953 comic book. Hergé had a very healthy vision of politics and of history. He was disillusioned, he did not want any trouble. But I think I can say that it was with a secret sorrow that he purged his works [. . .]. The image at the end of the book is tragic, it’s the bitterest which Hergé has ever drawn: and Borduria, by the same token, we realize, was maybe not worse than any other regime . . . The Picaros is a disillusioned statement. 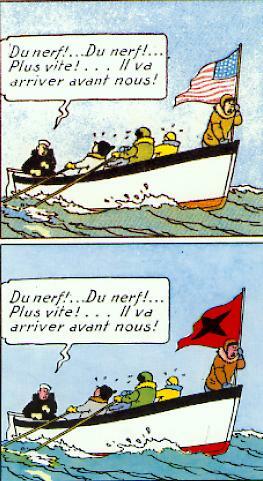 Certainly, Tintin helps the Picaros in toppling [the dictator] Tapioca, but only to free his imprisoned friends. The comic book celebrates above all friendship, which is, as everyone knows since Brasillach, an eminently fascist sentiment. Everyone agrees in saying that the “message” of The Picaros is: “Neither right, nor left.” And “Neither right, nor left” is also a slogan of the third way. Yes, “Tintin” is a “rooted and uninstalled” work, as Guillaume Faye would say. And I will never forget, for my part, the conversations that I have often had, at another time, with my dear Guillaume, one of the most representative intellectuals of the New Right, a great admirer of Tintin, and who planned – jokingly – to have as a flag for the European Empire to come “the red-and-white checkerboard of the rocket ship in the comic book Destination Moon” . . .
[T]he conclusion of this speech will be optimistic. In the summer of 1986, somewhere in Spain, I visited someone whom I only knew by reputation. On the eighth floor of a building, a heavy wooden door opened, and as solid as the Stone Commander [Commandeur de Pierre], but whose physique expressed an immeasurable goodness, even though I was for him only a stranger [. . .]. Tintin could not stop, not even for a minute, being a good little boy, intrepid, joyous, obliging, by the effect of internal reflexes. We could not imagine him committing a low, jealous, ill-tempered, or hateful act. [. . .] He has principles, and therefore convictions, founded on a few, probably traditionalist postulates. [. . .] He is an honest spirit, a noble being, incapable of anything villainous. [. . .] The gentle and gay Tintin will live a long time still. [. . .] [T]his hero charmed precisely by that which he evoked of traditional; in other words, today, of the past. He is a witness (deep down, inexplicable) of a moral universe which, like him, has forgotten how it was born . . .
Who cannot see by which name here to replace that of Tintin? 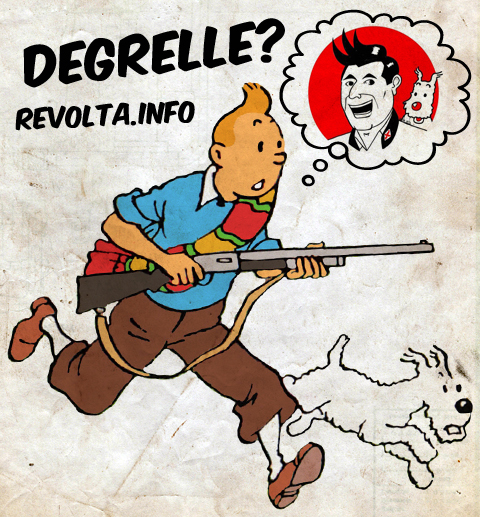 Yes, Tintin was, is, and always will be, Léon Degrelle! Published: January 26, 2016 | This entry was posted in North American New Right and tagged articles, Belgium, graphic novels and comics, Guillaume Durocher, Hergé, Léon Degrelle, North American New Right, Olivier Mathieu, originals, the Jewish question, Tintin, translations. Both comments and trackbacks are currently closed. Interestingly, the French nationalist author Francis Bergeron has recently had two books published, one on Hergé and the other on Degrelle. I’m ignorant concerning contemporary literature in Europe — I’m not terribly interested in such things — but it’s safe to presume that it has also been heavily Judaized. I used to watch Tintin cartoon re-runs when I was a lad. Perhaps this had an influence on my political ideas? On a related front: what’s the take on the recent Tintin movie? -> but that leads to fighting Whites: because Whites are strong, they are the strongest, so they are potentially dangerous, and all others are weaker ! = we have AIDS ! That´s at the root of all of our problems, that´s the explanation of the “White pathology” ! Tintin truly embodies European values at their best. One could write a book on its political undertones, and another one on its ethical ones. Cigars of the Pharoah: Tintin backs an Indian monarch against an international drug trafficking ring. Nationalism and tradition versus cosmopolitan materialism. The Blue Lotus – where we have the Mukden incident exposed as a ‘false-flag’ operation; Hergé’s portrayal of the Japanese and Western attitudes to the Chinese… is unforgettable. It is noteworthy that Tintin sides with a Chinese Secret Society against the occupiers – and against a transnational crime syndicate. The Broken Ear – with its extremely cynical view of Latin American politics – and foreign interference in it. Two recurring themes: supporting the established, upright national authorities – against nefarious foreign interlopers and their local agents; and the rejection of money (symbolic of materialism in general) – not only does Tintin refuse to be bribed, but he even refuses the valuable gifts offered by the grateful Incas in Prisoners of the Sun – whereas his foes are frequently motivated by greed.